From the Award Winning Author of "Northern Lore", comes "The Runes in 9 minutes". 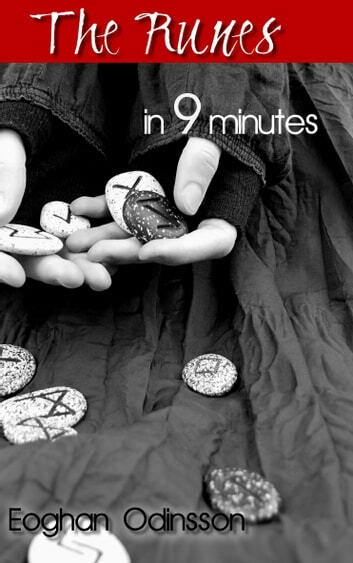 In 9 minutes you will be using the runes for personal development and exploration. Of course you aren't going to master the runes in 9 minutes, but you can start! We'll even teach you how to create your own set of runes. All you need, in addition to this book, is a sheet of paper and something to write with. This is a book of runes for beginners, and as such, I designed it to be a concise and inexpensive introduction. If you like what you see and the runes are for you, then you can extend your studies. If the runes aren't your thing, then you haven't invested much time or money. Call it a runic sampler if you will. I hope you enjoy the book. My goal is to share something that's very dear to me, and that has been part of our Northern culture for thousands of years - worthy of study.